World MS Day is an international event designed to raise awareness about Multiple Sclerosis (MS) and its impact on 2.5 million people globally. The day falls on 28 May every year and it is aimed to support patients suffering from MS and to tell them that they are not alone in their fight against MS. The Society for Multiple Sclerosis Patients in Pakistan raised awareness on World MS Day this year by giving a radio interview on CityFM89. Listen to the interview below. A transcript of the interview is also given below. Aneeta: Welcome back everyone to the show. It is World MS Day today and I have with me a representative from SMSPP.org.pk that stands for Society for Multiple Sclerosis Patients in Pakistan. I have with me Afroz Syed, hello Afroz. 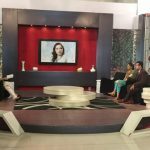 Afroz: Hi Aneeta, thank you for having me on your show. Aneeta: It’s a pleasure to have you and thank you for your time. Now Afroz not a lot of people are aware of what Multiple Sclerosis is, they’ve heard the name but they’re unsure of what it really is. 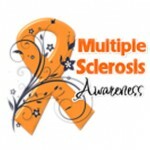 I’d like you to tell me what is Multiple Sclerosis? Afroz: Multiple Sclerosis, also called MS, is a serious neurological disease which affects the Central Nervous System (CNS) of the body. The CNS basically consists of the brain, the spinal cord and the optic nerves. Now everything we do, from walking, talking, everything is controlled by our brain and the central nervous system. Even a little bit of disruption in the central nervous system can lead to unpredictable symptoms and unpredictable behavior of the body. Before I tell you what exactly happens in MS, I’ll give you a little bit of biology here so that you can understand things better. The central nervous system consists of millions of cells called neurons which are responsible for sending signals from the brain to other parts of the body. These neurons are covered by a protein layer called Myelin. What happens in MS is that the body’s own immune system attacks this myelin layer and it basically exposes the nerve cells which are underneath the myelin sheath. I’ll give you an example of an electric wire which has thin copper fibers inside and is protected with a plastic layer. Now if this plastic layer is somehow damaged, obviously those copper wires will be exposed to the environment and the proper signals will not be able to send. Exactly this is what happens when the myelin sheath is damaged and the nerve cells underneath are exposed which affects the smooth transfer of signals from the brain to other parts of the body. And this disruption in the transfer of signals results in unpredictable symptoms such as numbness, tingling, loss of sensation, even blindness and paralysis in some patients. Aneeta: And not everyone will have the same symptoms, is that right? Afroz: Yes, these symptoms vary from patient to patient and they also vary in severity and in some patients, these symptoms can be temporary while in others, they can be permanent. They can cause permanent damage in some patients. Aneeta: So it’s a very unpredictable illness? Afroz: Yes, it’s very unpredictable and it is also, what you can call a mystery disease, because there is no known cause of the disease and there is no known cure for the disease either. Aneeta: So multiple sclerosis is a disease where patches of inflammation occur in parts of the brain and / or spinal cord. This can cause damage to parts of the brain and it can lead to various symptoms that Afroz mentioned and these symptoms vary from patient to patient. We’re talking about MS, today is MS Day, stick around, there’s more, we’re going to take a short break. I’ll be right back. Aneeta: Welcome back everyone to the show. 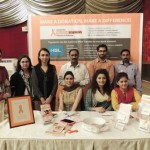 I’ve got Afroz Syed from Society for Multiple Sclerosis Patients in Pakistan – SMSPP.org.pk – That’s where you can go and get in touch with them. We’re talking about MS and we’re trying to spread some awareness about this disease. Now Afroz, do you have any stats and numbers telling us how many MS patients are here in Pakistan? Afroz: No, that is the problem. We have statistics worldwide, there are actually more than 2.5 million people who are affected with this disease globally, but there are no statistics available for Pakistan. One of the aims and objectives of this society is to basically create awareness about the disease and also to find out and bring together data to tell exactly how many patients are suffering from this disease in Pakistan. Aneeta: So no stats, no figures here in Pakistan, and that’s something we need to change. Now what about institutions or centres, do they exist here? Afroz: Basically when I started this society in 2011, I basically started it after I was diagnosed with multiple sclerosis myself. I had started feeling most of the MS symptoms at least 2 years before that, in 2009. It basically started with some vision related problems, I had blurriness and hazy vision in my eyes. Then after the successful treatment of my vision related problems, I started experiencing some other kinds of problems, such as constant pins and needles in my hands and feet and there was loss of sensation. I had problems walking and for 2 years, from 2009 to 2011, I was basically consulting doctors, going here and there without having any idea of what really was wrong with me. Eventually in 2011, I consulted a neurologist who advised me to get an MRI done, which I did and I was finally diagnosed. After my diagnosis, I again realized that there are no therapy centres in Pakistan, anywhere in Pakistan for the treatment of MS, no other treatment centres, no support groups who can help patients and guide them to cope with this disease. So basically, there is a lack of treatment centres who can basically guide people on the right path and they don’t have any data and in Pakistan I’ve noticed that people don’t tend to talk about their health problems really. They tend to hide them and they also don’t go to the doctors regularly. There are also so many unreported cases and I’ve seen so many patients being neglected, because they couldn’t figure out what was wrong with them all these years and they eventually now they know that they have MS, but during these years, their disease has progressed to a stage which might not be, even after treatment we may not be able to bring them like a normal human being. Aneeta: And that’s why we need treatment centres and we need more awareness about MS. Today is MS day, multiple sclerosis, and we’re talking about that with Afroz Syed. We’re going to take a break right now but we’ll be right back. So stay tuned. Aneeta: Welcome back everyone to the show. We are in conversation with Afroz about MS. Now Afroz, there are various types of MS and I’d like you to tell us about the different types of MS that are there. Also what are the different tests that you go through to find if you have multiple sclerosis or not? Afroz: There are actually different types of MS. The most common type of MS is Relapsing Remitting MS. Usually patients start with this form of MS which eventually progresses through the years and it goes on to become Secondary Progressive MS. This can take 10 to 15 years and then eventually the patient can suffer from; Other patients can suffer from Primary Progressive MS and eventually the least common type of MS is Progressive Relapsing MS.
Aneeta: Alright, and what about the different tests that you have to take? Afroz: You obviously have to consult a neurologist because it’s a neurological disease and you’ll have to go and consult a neurologist. The neurologist will carry out a neurology exam and he will recommend an MRI which you have to get done. An MRI can be expensive and most of the people might not even have the resources to afford an MRI. There are other exams also which help in the diagnosis of MS which include a lumbar puncture (spinal tap) test or an evoked potential electric test. Obviously the neurologist will recommend you, and your neurologist will also look at the symptoms which you are showing to properly diagnose that you’re suffering from this disease. Aneeta: Alright, time for another break but stay tuned everybody, we will be right back. Afroz: Yes, basically the aims and objectives of the Society are to increase awareness about multiple sclerosis and to help in the proper and early diagnosis in patients who show symptoms similar to MS. We also encourage people affected by MS to obtain their full potential as members of the society and we help them by giving tips so they can beat MS and live a normal and productive life. I myself have had three relapses during these three years. Relapse is an MS attack and I can say that I’ve now understood what MS is, what things cause the MS flare-ups to happen and what precautions I can take to prevent those MS attacks from happening. Aneeta: Alright, once again, their website is www.SMSPP.org.pk and you can get in touch with them over there. Afroz thank you so much for your time. Now before you wrap up our interview, anything you would like to add? Afroz: Yes. We can also be reached through Facebook, through our Facebook page. We have our Facebook page at www.facebook.com/SMSPPakistan and we can also be contacted through our helpline that is 0321-4576777 and we are in the process of creating a database of MS patients an we’re also working on forums which will be going online so that patients can come and interact with other patients because obviously a patient is well aware of symptoms that they feel and how they can help other patients to cope with the disease as well. 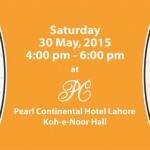 We are also in touch with Bayer pharmaceutical and we will be Insha Allah holding an MS awareness seminar very soon in Pakistan. We’ll be holding that in collaboration with Bayer. Right, time for another break, stay tuned.